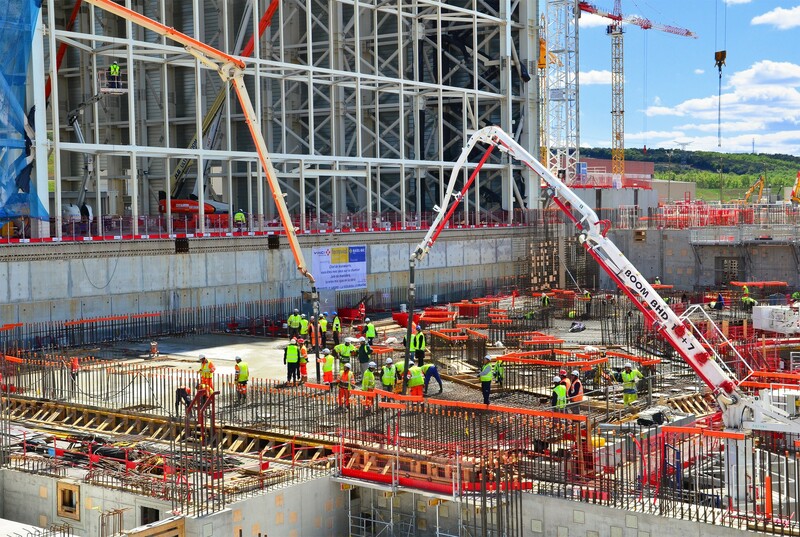 Shortly before dawn on Tuesday 26 April, concrete pouring began on the B1 level basemat of the Tokamak Building. 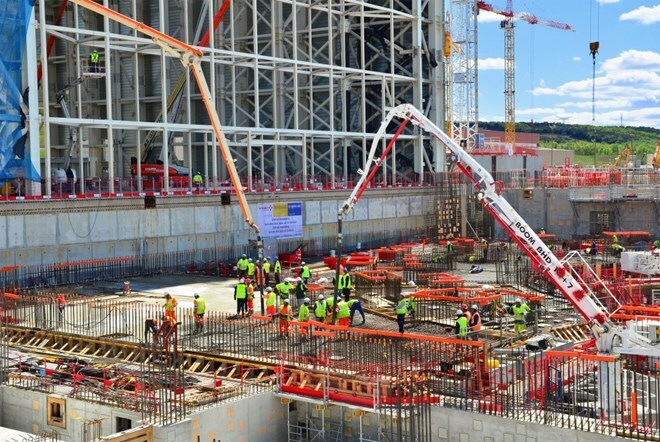 Some 540 cubic meters of concrete were employed in filling a 750 square-metre area (plots 4 and 5) in the southeast corner of the Tokamak Pit. The operation was of special significance, as the B1 level is host to 18 port cells and one strategic equipment element — the cask transfer system, part of the remote handling system for the divertor cassettes assemblies. Pouring operations will resume in a fortnight.